Celebrate National Bike Week (3rd week in May) by taking a virtual field trip to the Smithsonian's American History Museum. 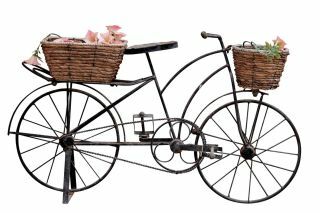 Enjoy seeing the similarities and differences among bicycles from the late 1800's to present-day bikes. Learn history in an interactive way to see how much the bicycle has changed over the years. Learn about the scientific advances that coincided with various historical contexts of the late 1800s, 1900's, and 2000's.